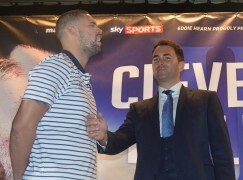 As the only promoter with a contract to broadcast fights on Sky Sports, Eddie Hearn usually stands in enviable shoes and there’s many a man in the boxing business who would want to swap positions with him as the head of Matchroom Sport’s boxing branch. However, in 23 day’s time, the Essex native will find himself stuck an unenviable position, between a rock and a hard place, in the form of bitter rivals Nathan Cleverly (28-1, 14KO) and Tony Bellew (22-2-1, 14KO). Despite having a hefty catalogue of clients, Hearn hasn’t yet hosted a major fight between two of his own boxers. 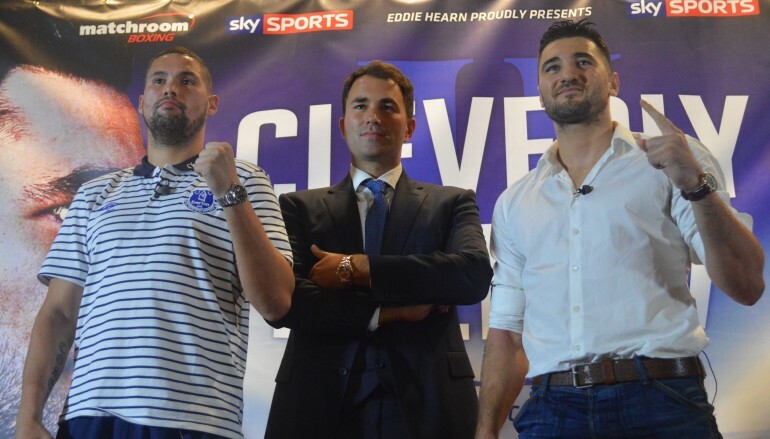 Cleverly’s unavoidable rematch with former victim Bellew on November 22nd at Liverpool’s Echo Arena will be the maiden all-Matchroom derby and the man in the middle is being forced to sit on the fence. 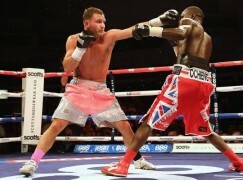 Hearn said, “All I can say is may the best man win. I’ve known Tony for a long time and I like him, I’ve known Nathan for a less amount of time but I like him a lot as well. 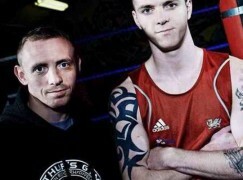 “Ultimately, they’re going to get in the ring have a fight… and the one who deserves to win, will win. Both Cleverly and Bellew have world title fight experience, with Cleverly defending his old WBO title six times and Bellew unsuccessfully challenging for the WBO and WBC titles twice, and one thing they share is the aspiration for more of it in the future. The profiles and personalities built by both boxers would be enough to guarantee a shot at any current champion as a voluntary challenger. 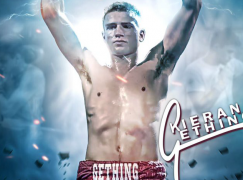 However, the hate they hone for each other and money they can make from a genuine arch enemy was enough for both to put global plans on hold and as expected, Hearn’s enthusiastic about it. Hearn said, “Kalle Sauerland’s like, ‘please don’t do this fight, put them in with Marco Huck [WBO champion] now’ but I’m telling him they’re going to make more money here! “Why is the fight is so big? Because of the emotion in the fight. It’s not for a world title but who cares? If it was for a world title, would you be happy that it’s Pay-Per-View? Seeing that Cleverly vs Bellew II became the quickest event to sell out at Liverpool’s 12,000 capacity Echo Arena, Hearn’s point isn’t wrong. 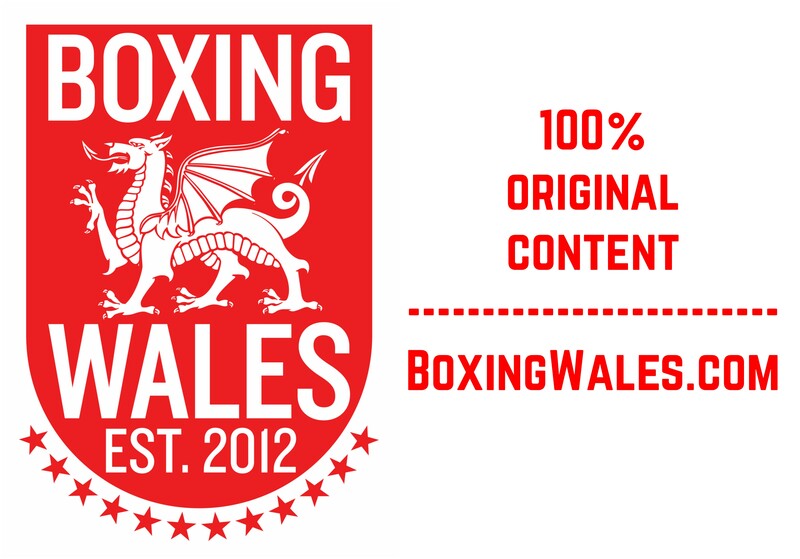 However, when speaking to BoxingWales.com hours after the event went on sale, the promoter indicated that he initially thought it would sell quicker than the 48 hours it did take.